Sony is sticking a fork in its Music Unlimited service as part of a new partnership with Spotify. Aside from the Spotify integration, Sony isn't saying what else Playstation Music will do. It's also unclear when Spotify and Playstation Music will launch, beyond a rough estimate of spring 2015. In the meantime, Sony is planning to wind down its Music Unlimited service, which was similar to Spotify's subscription offering. Existing users will stop being billed for Music Unlimited after February 28, and the service will shut down on March 29. Users will receive free trials to Spotify when the app launches. Why this matters: Spotify is the world's largest subscription music service, but it's been selective about launching apps on game consoles and TV set-top boxes. 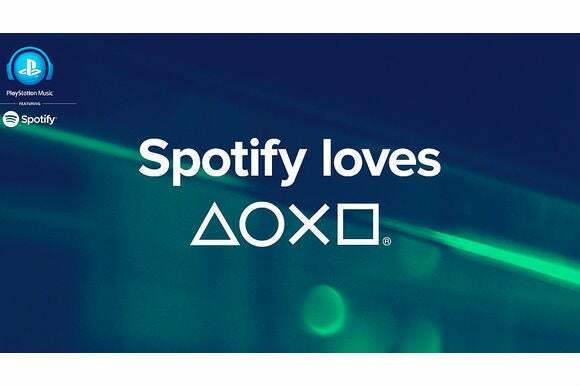 The “exclusive” partnership with Sony suggests that Spotify isn't coming to the Xbox One anytime soon, and combined with the ability to play music in the background, it gives Sony's consoles one more big selling point over its rivals.